ONE OF MY most memorable Chinese New Years was spent on Hong Kong's harbour sharing a private junk with friends. The firework display was pretty impressive, after all, the Chinese did invent them. Almost as impressive were the neon decorations on the surrounding skyscrapers. Curling dragons, kaleidoscopes of changing colours and elaborate good-luck patterns which lit up the multi-storey buildings. This year the Chinese New Year starts on February 5th 2019 and will be the Year of the Pig. Anyone born in the Year of the Pig is realist, energetic and enthusiastic. They like to enjoy themselves, so we suspect they will be visiting a beautiful luxury destination (or two) this year . But what about the rest of us? Where does your Chinese zodiac sign suggest you go in the luxury travel year ahead? Legend has it that all the animals in creation were summoned by Buddha one New Year's Day. Only 12 animals turned up, and to each Buddha gave a year which would bear its name. This is the kind of luxury traveller each animal is. Ideal destination: A beach destination would suit this sunny character. Try Cyprus, Greece, The Maldives, California or Mauritius. 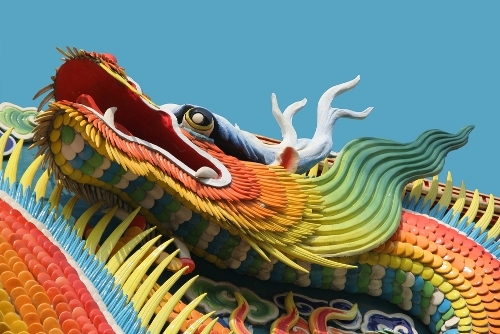 Dragon: charismatic, colourful , brave, dislike routine, like attention. Ideal destination: A luxury adventure such as climbing a Volcano, going on a off-road adventure or a safari in Africa. Dragons might also like to travel in style across Australia on the Indian Pacific train or follow in the footsteps of the rich and famous. Ideal destination: A grand cultural tour of Europe. Perhaps around Florence, beautiful Scotland, or discover some of Prague's best kept secrets. Ideal destination: Somewhere suitably showy such as St Tropez, Monaco, Las Vegas or one of these Instagram-able locations - and of course Horses always look super stylish! Sheep: sensitive, creative, thoughtful, cultured. Can be eccentric. Ideal destination: A sheep might enjoy designer hotels with serious style or perhaps a hotel with quirky robots at your service. Get creative and discover your inner country music star in Nashville. Ideal destination: A free-spirited sweep down a snow clad mountain would be a good choice. Stay at an Alpine Spa Hotel, Ski in France in Courchevel or Val Thorens. Monkeys will want to be confident when skiing so should always make sure they have the best equipment. Ideal destination: Five star hotels go down well especially in London or Paris. Try the Paris Ritz or the Hotel Plaza Athenee, London's The Savoy or The Ritz. Roosters always demand five-star service. Pig: Kind and thoughtful, down to earth, friendly. Ideal destination: Somewhere where they can get close to nature, perhaps an African Nature reserve, a retreat (and spa) in Australia , exploring the beautiful Emerald Isle, or the Glaciers of New Zealand. Pigs will love to watch The Great Migration. Rabbit: very sensitive. Principled, honourable, kind. Ideal destination: Find your own sense of 'self' in Cambodia , Indonesia or Japan. Rat: charming, determined and ambitious, intelligent, goal oriented. Ox: calm, patient, reliable and loyal. Often have a small but solid circle of friends. Tiger: warm and loving. Passionate about life, impetuous.